A lot of investors and their advisers have avoided annuities in recent years because low interest rates have depressed payouts. But there are signs the rate increases that began this summer have had a positive impact on annuities. With interest rates rising, it's time for a fresh look at the cash-for-life comfort and convenience of annuities. A lot of investors and their advisers have avoided annuities in recent years because low interest rates have depressed payouts. But there are signs the rate increases that began this summer have had a positive impact on annuities. To capitalize, consider the same kind of laddering strategy that works well for people buying guaranteed investment certificates. "I have clients doing this a lot," said insurance adviser Rino Racanelli. "Instead of giving me $300,000 this year, they're going to give me $100,000, then $100,000 next year and $100,000 the year after." An annuity is a contract with an insurance company where you pay a lump sum of money and receive monthly payments for as long as you live. One of the drawbacks with annuities is that once you've bought one, there's no going back. In a rising-rate world, that's a concern. Your risk is that you buy an annuity this year and miss out on further rate increases to come. The laddering approach allows you to benefit from higher interest rates ahead, but that's not the only advantage. The older you are when you buy an annuity, the higher the payout. Insurers can afford to be more generous as you age because they figure you'll collect your payments for less time. Mr. Racanelli said the annualized payout for a 65-year-old male who buys a $250,000 registered annuity (in a registered retirement savings plan or registered retirement income fund) with payments guaranteed for 10 years would be $16,020 at one particular company. Payouts for someone who is 66 and 67 would be $16,399 and $16,794, respectively. Rising interest rates offer the possibility of additional bumps in your annuity payouts if you use a ladder. But tracking the precise impact of rising rates on annuities is complicated because there are other factors involved in serving payouts. One is the role of mortality credits, which is basically money left over by people who bought annuities and died before they used up what they contributed. Another issue is competition between insurance companies. "There are a lot of insurers that don't care about annuities – they just give you their price and that's it," Mr. Racanelli said. Some companies are aggressive in setting annuity payouts, but not for all clients. People in a certain age group may get higher rates, while others don't. With these three factors – interest rates, mortality credits and industry competitiveness – working together to influence annuity payouts, you get some volatility. Mr. Racanelli provides annuity payouts numbers monthly to the publication Canadian MoneySaver – he says the annual payout from one particular company for a prescribed annuity (non-registered) went from $15,265 on Aug. 1 to $15,611 on Sept. 1 and then $15,369 on Oct. 1. At mid-month, the payout was at $15,579. It's worth noting that the payout for a similar annuity – except one that is registered – at mid-month was $16,020. Why the difference? Basically, it's because actuarial data shows people with a large amount of non-registered assets live longer. To get a sense of where annuity payouts are going, financial planner Rona Birenbaum recently reran a quote for a $1-million, non-registered annuity for a 63-year-old male client that was originally submitted a year ago. The annual payout rate on the annuity – that's the annual income it produces as a percentage of the premium amount – has risen over the past 12 months to 6.4 per cent from 6 per cent. Looking at annuity returns by comparing payout rate to the yield on other kinds of investments isn't ideal because annuity payments include a portion of your principal. One further note on returns is that prescribed annuities are particularly attractive on an aftertax basis because only a portion of your monthly payment is taxable. The full payment from a registered annuity is taxed at your usual rate. Ms. Birenbaum says annuities today represent less than 5 per cent of her business, although they're gaining momentum. "The first time I sold an annuity in my 25-year career was about five years ago," she said. "But they're starting to come up a lot in conversations with clients right now." She thinks the prime market for annuities will be conservative investors who derive most of their retirement income from their own investments, rather than pensions. To allay clients' fears of dying soon after buying an annuity and their beneficiaries losing out, she suggests backing up the investment with a life insurance policy for the identical amount. This allows for a tax-free payment to a beneficiary of an amount that is equivalent to the cost of annuity. Low rates have certainly worked against wider acceptance of annuities. Another reason is that they're not lucrative for advisers to sell, Ms. Birenbaum said. "I can charge you 1 per cent per year on your investment portfolio forever, or I can get a 2.5-per-cent commission once on an annuity." Because insurance products are more opaque on fees than traditional investing products, investors tend to be suspicious about adviser motivations for selling annuities. 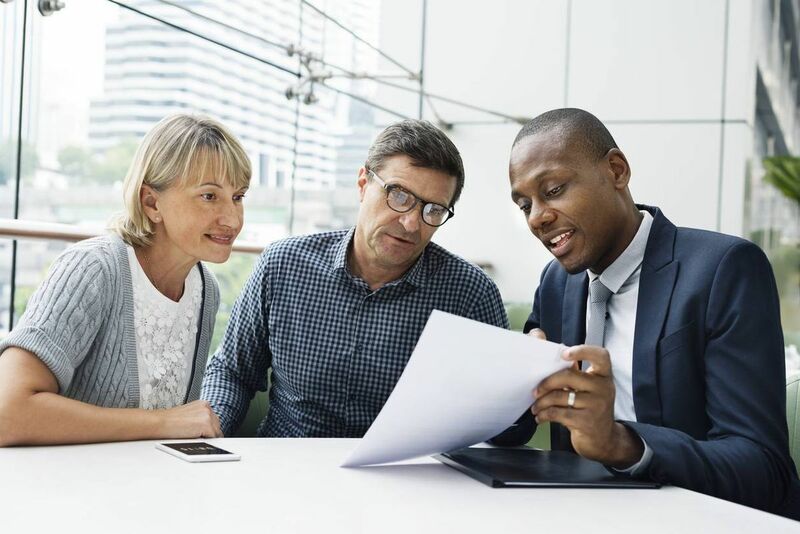 But there's a case to be made that an adviser has a client's best interests at heart in recommending annuities as a way to convert part of a client's savings into reliable retirement income. Ms. Birenbaum likes the laddering strategy for clients who are interested in buying annuities. Part of her thinking is that this staggered approach gives her clients a chance to reassess how the pluses and minuses of annuities balance out. Annuities provide worry-free cash for life, but you lose control of your principal and can't use it to, say, help your adult children buy a house a few years from now. Mr. Racanelli finds that some of his clients are happy to give up control of a portion of their retirement savings in exchange for regular income. "They've been investing with their RRSPs and they're tired of following the market," he said. "They say, 'Let me just take part my RRSP and dump it into an annuity and I'll just have to invest the other part." He figures that about 25 to 30 per cent of an retirement portfolio should be in an annuity.